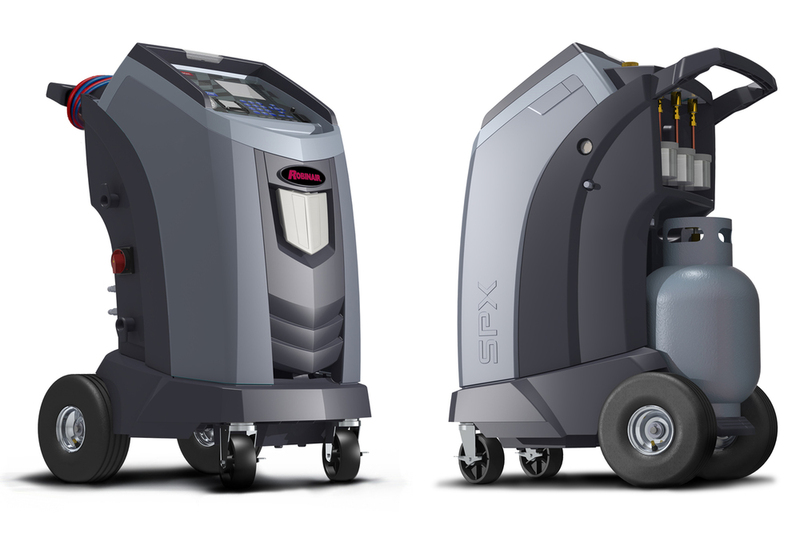 SPX/Robinair ACR System — Brownlie Design, Inc. 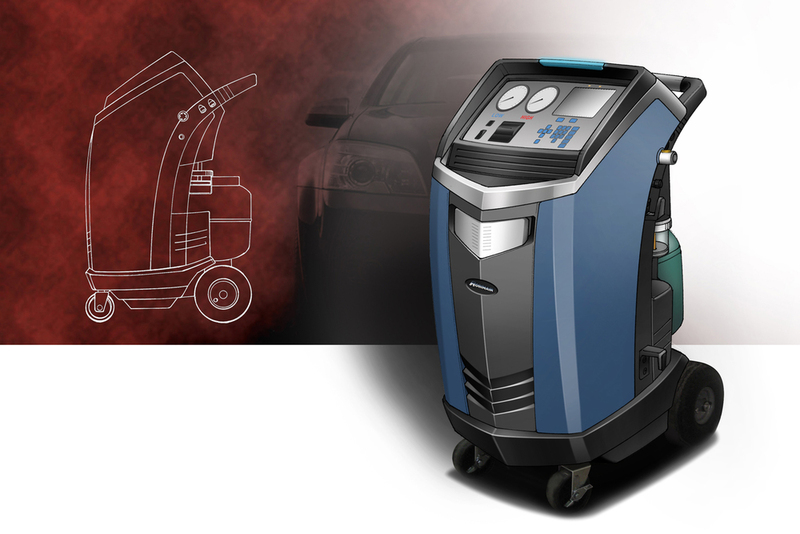 The SPX AC Diagnostic / Repair System, used to service automotive air conditioner systems, was a ground up redesign responding to the new 2013 EPA Standards requiring the use of environmentally friendly 1234yf refrigerants. The cart was developed as a global platform for use in Europe, India, Asia and the Americas. The visually exciting body design was configured as a modular structure over a sheet metal inner chassis that allows integration of the unique technology demands specific to each market. The enclosure combines durable, easy to service and assemble construction with thoughtful ergonomics targeting the technician's convenience and accuracy.